The idea of this preparation is to provide essential minerals in decent amounts, assuming one gets nothing from the diet. The dose is one gram per 2 stone of body weight up to a maximum of 5 grams. However, once a stoneage diet is established then half this dose would be more than adequate. 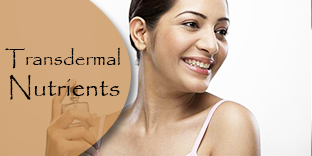 It also contains vitamins D and B12 because these are so often lacking in standard preparations. All these minerals are salts and so should be taken with plenty of water - at least 1/2 pint (250ml) per gram. MMMs can be used with sea salt or table salt as a rehydration mix for gastroenteritis or dehydration in the proportion: one litre (2 pints) of water with a half teaspoon of salt (i.e. 2 grams), 1 scoop of Multi mineral Mix (ie 1 gram) and 4 grams of ascorbic acid (2 scoops) taken ad lib. Drink at least 2-3 litres (4 or 6 pints) over the 24 hours, more if diarrhoea is severe. PLEASE NOTE: This product is suitable for vegetarians but NOT VEGANS. 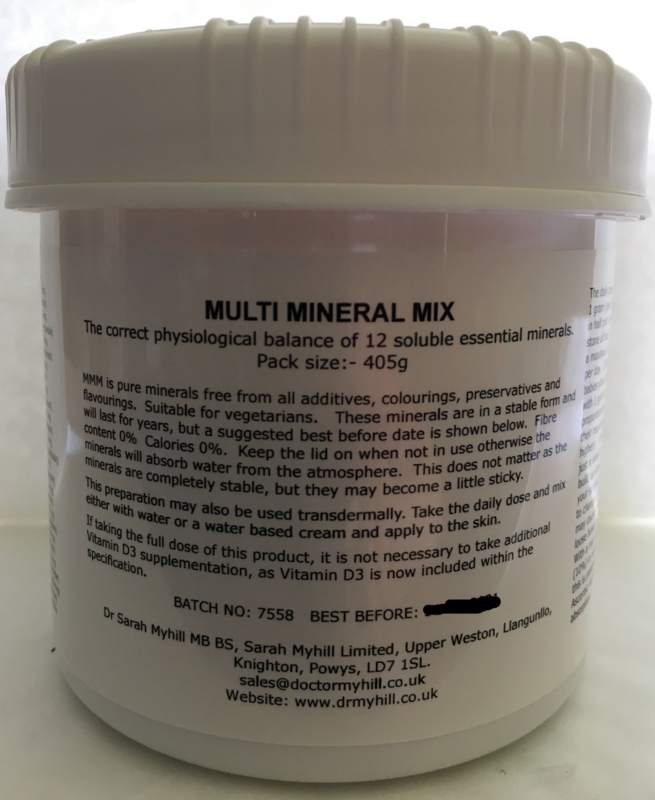 I've been using the Multi-mineral mix for several weeks along with following more of Dr Myhill's advice in her CFS book and her website. I've also been on the Ketogenic (Low carb, High fat diet) for just over a month. 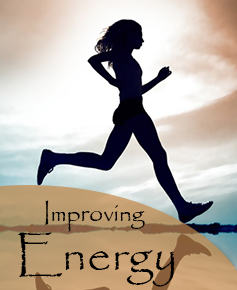 I definitely feel more lively and upbeat and I'm certain that the Multi-mineral mix plays a vital part in this. The price is excellent because it's very high quality and it'll last for a long time. I love that there are no nasty additives. I highly recommend it. Big thumb up! I've been taking Multi Mineral Mix (MMM) for the past 6 years. I'm 66 and 5 weeks ago I had a nasty fall. I went to A&E where they thought I had broken my leg given my symptoms. After X-rays the doctor told me I had no broken bones and with a degree of delight that I had excellent mineralised bones for my age. I have been examined by a sports masseur and we both concluded that the MMM must have contributed to my excellent mineralised bones as well as the exercise I do daily. 8 years ago I had been diagnosed with mild osteoporosis. I am understandably very pleased I have avoided a fracture and any serious damage and all the upheaval this would have entailed. Thank you Dr Myhill for making MMM available and at such a reasonable cost. Good on you.